The indoor pool is surrounded by windows and the water temperature is maintained at 86 degrees. Lap swim lanes are always available and the area also features a changing room with lockers for daily use. For your convenience we have a family changing room with complete showers and restrooms facilities. Our 25-meter, 6-lane outdoor pool is open from approximately April to October, depending on air temperatures. Furthermore, the pool is heated during the cool spring and fall months; for relaxation an awning, umbrellas and lounge chairs are available. Lap lanes are always available except during special events. We ask that swimmers share lanes with others and limit swim time to 30 minutes while other are waiting. The lane schedules are posted below for your convenience and available for download. Our baby pool is located on the outdoor upper deck and is open approximately May to September, depending on air temperatures. There is also an awning and a large sun deck for recreation. 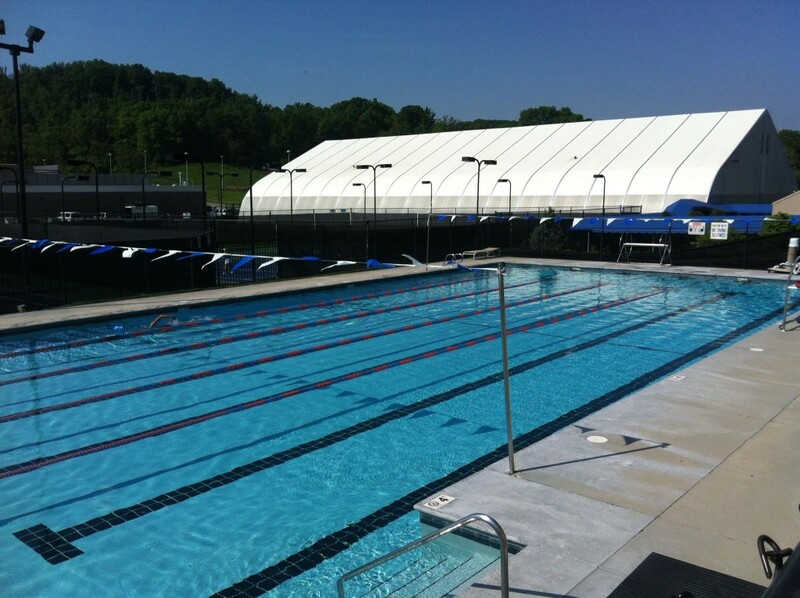 For more information regarding our pools, please contact our Aquatics Manager at (865) 531-5082.